Once called the “most notorious cover illustration” of all time Johnny Craig’s artwork for E.C. Comics Crime Suspenstories #22 shredded the moral fiber of 1954 America. Later that year German-American psychiatrist Fredric Wertham published “Seduction of the Innocent” a book that warned that comic books were a negative form of popular literature and a serious cause of juvenile delinquency. 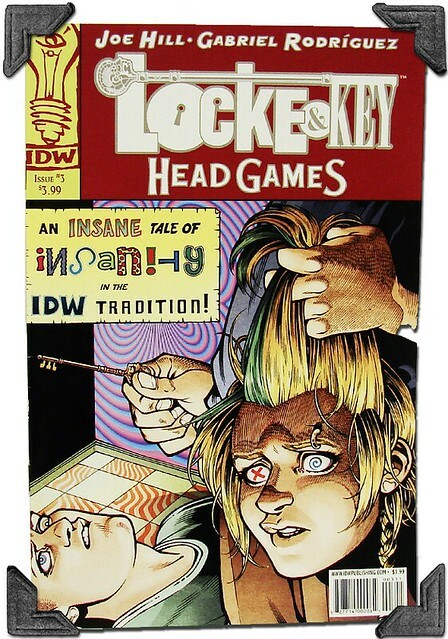 While being a minor success the book became better known for helping galvanize the campaign for comic book censorship. In September of 1954 the Comics Magazine Association of America (CMAA) was formed. A body within the CMAA, the Comics Code Authority (CCA) was then voluntarily established by comic publishers. This code was enacted to allow publishers to self-regulate their titles and avoid government censorship. 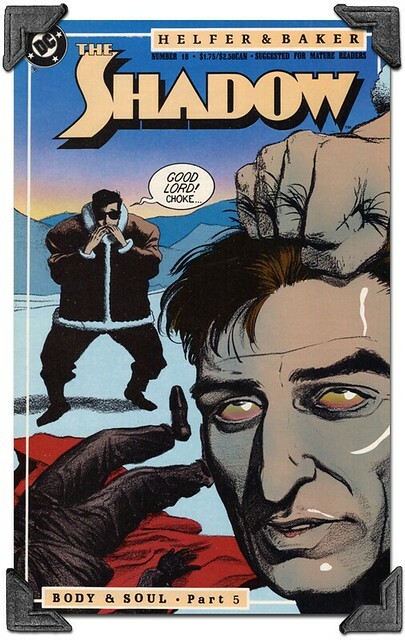 Although the CCA had no official control over the publisher’s content, most distributors refused to sell comics that did not carry the CCA seal. So publishers had to make a choice; either censor their work or be blacklisted from all major distribution and sales agencies. This new code not only banned violent images, but even violent words and concepts. 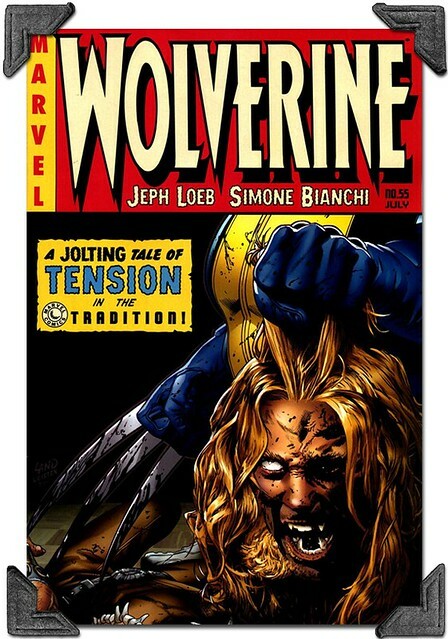 It also mandated that criminal action in these comics must always be punished. The CCA helped to destroy most of the crime and horror comics of the day and ushered in a watered down era of superhero comics. 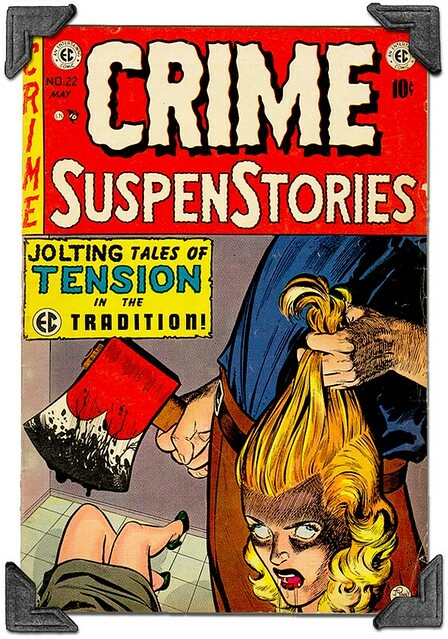 Over the years many comic books have paid homage the cover of Crime Suspenstories #22 not only for it striking subject matter and composition but also for serving as a high-water mark for a time when publishers, writers and artists could freely create without fear of government censorship. 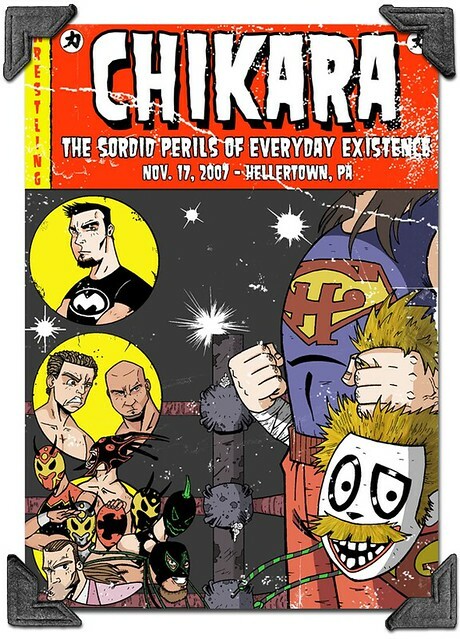 In a non comic related swipe Chikara Pro Wrestling parodied the Crime Suspenstories #22 artwork for the cover of their DVD, The Sordid Perils Everyday of Existence.